While walking on the beach near twilight in Pondicherry, India, I was captivated by the colorful fishing boats parked for the evening. There were two officers perched on the edge of one boat writing up some report, while a couple sat close together chatting on another boat. As I walked south on the beach I took many photos from different angles, some including the officers. I decided the light might be better if I were to come up the beach the other direction. 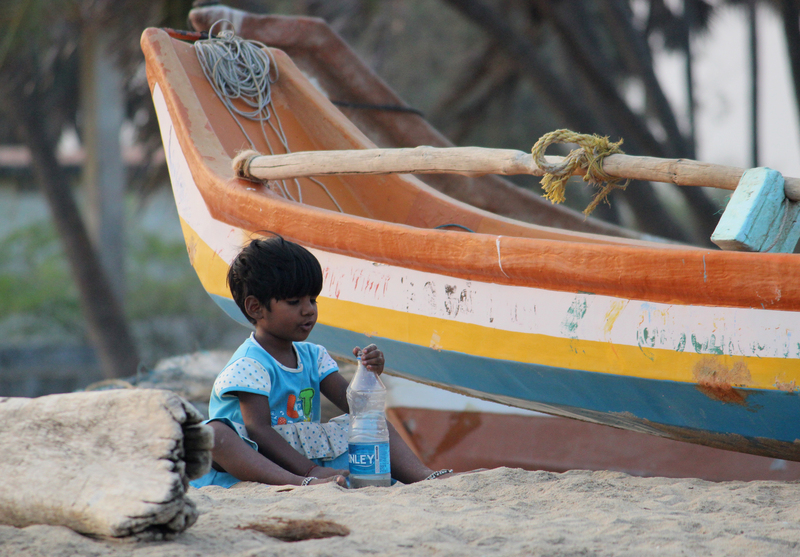 When I did, I found this beautiful little girl sitting behind her parents playing with a water bottle and sand.